Healthy parfaits are one of my favorite things to eat when it’s hot and I don’t want to cook. 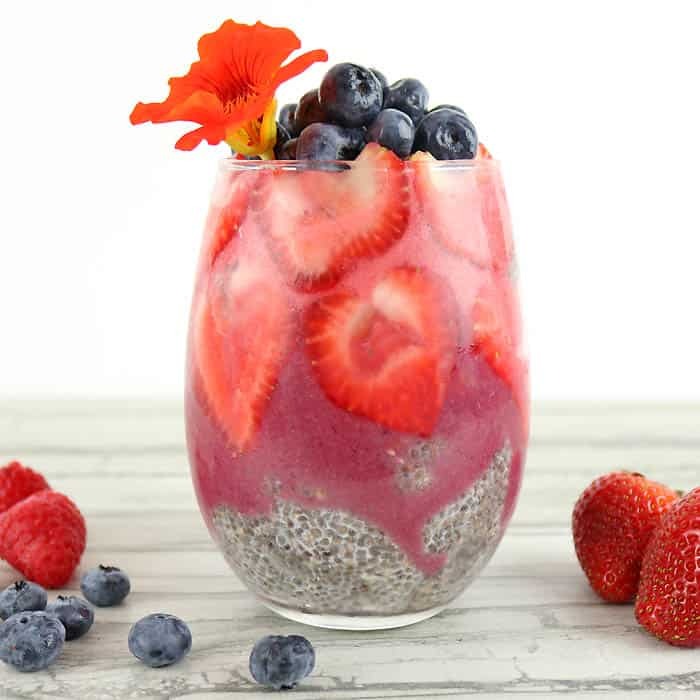 I always have a batch of chia seed pudding in the fridge so I don’t have to wait for it. 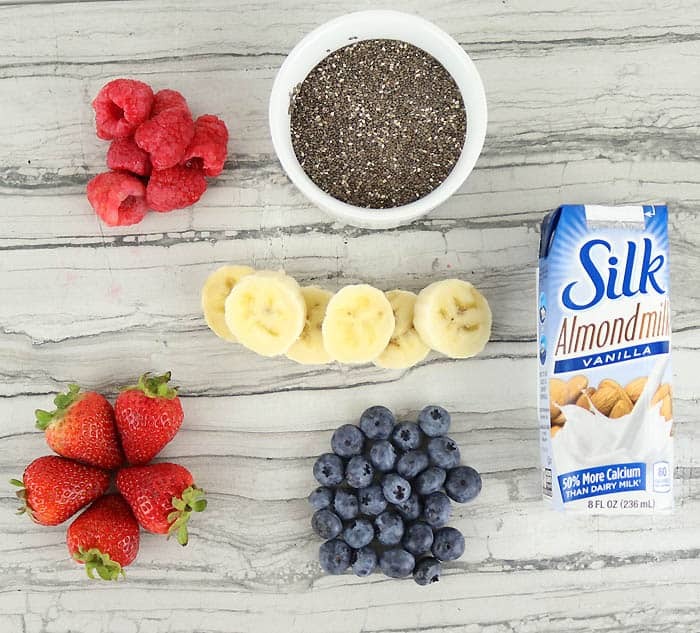 The combinations for these parfaits are endless, but I’ve been loving this Triple Berry Chia Seed Parfait! If you don’t finish the whole thing, it tastes even better the next day! If you’re in a hurry in the morning you can make this the night before and leave it in the refrigerator. 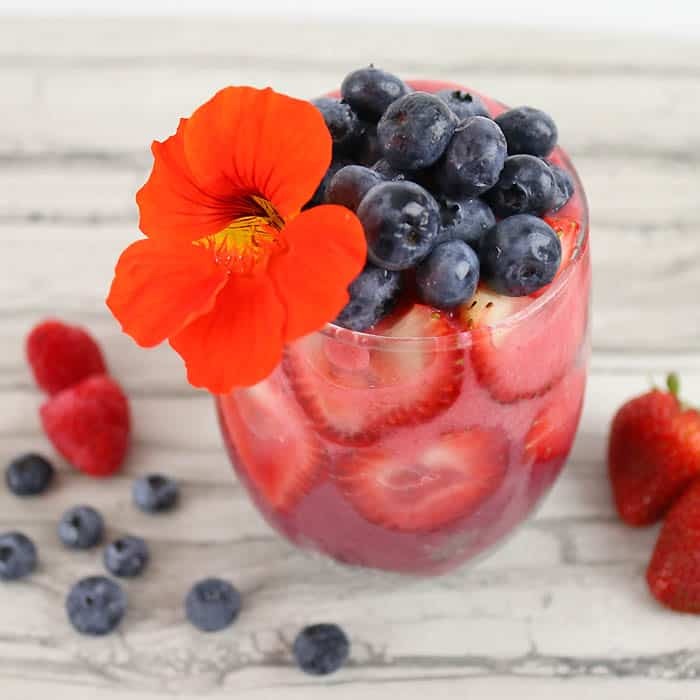 Healthy way to kick off your day! Combine chia seeds with 1/2 cup milk. 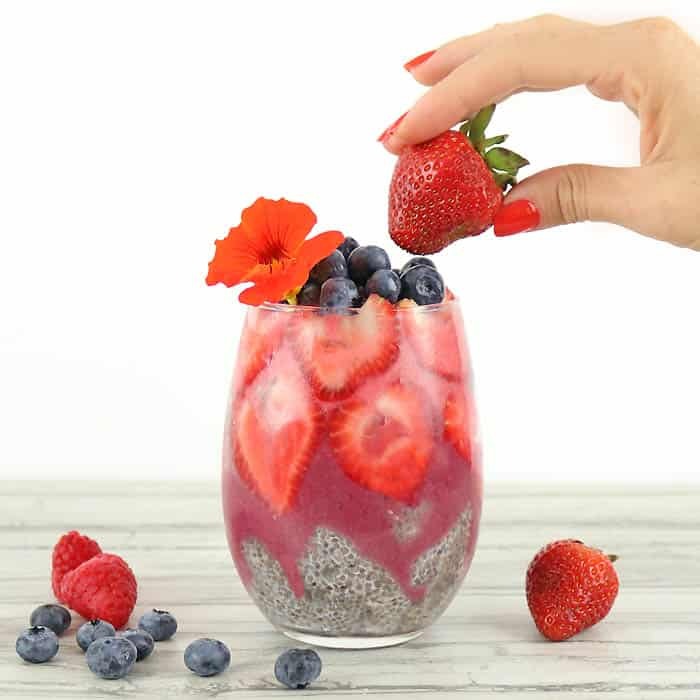 Put in refrigerator and let sit for 6 hours or until the consistency of pudding.Blend strawberries, raspberries and banana with the rest of almond milk.Scoop the chia seed pudding into a glass and pour the blended fruit on top. Top with blueberries.